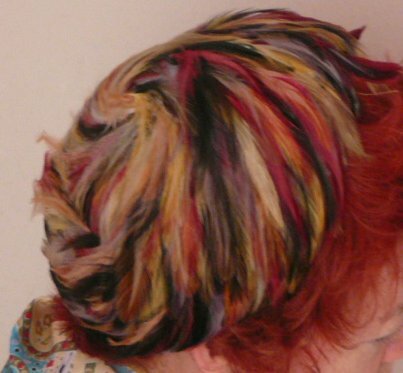 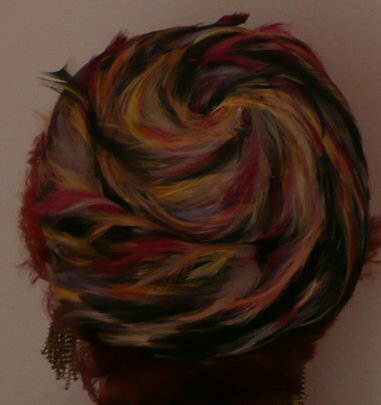 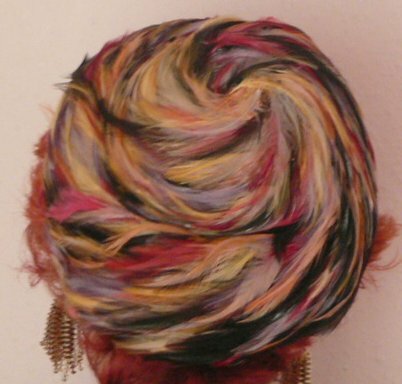 Shallow crowned, multi-coloured, absolutely gorgeous feather hat - the colours go with just about everything but my hair! 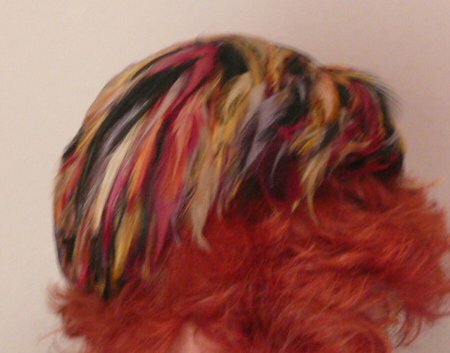 Like all feather hats, it needs to be treated gently, but is generally in excellent condition. 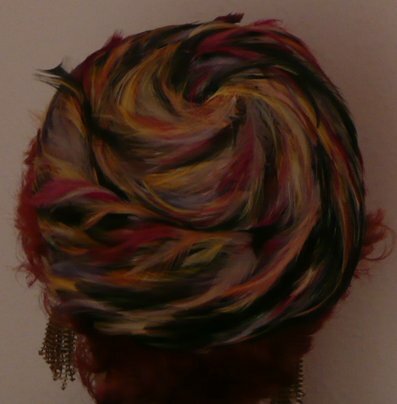 Measures approximately 20 inches (51 cms) circumference, but needs to sit high on the back of the head, so will fit most people.